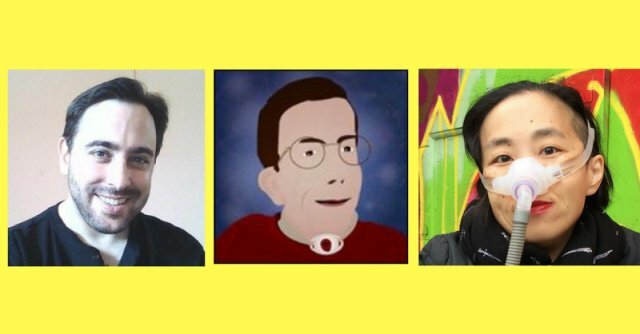 Alice, Gregg, and Andrew recorded a conversation between them about how and why #CripTheVote got started. The full discussion is now up at StoryCorps, and you can hear highlights with transcripts at the Disability Visibility Project website. 2017 is here. Hurrah?!? Andrew Pulrang, Gregg Beratan, and Alice Wong, the co-partners of #CripTheVote have a lot planned for this year. 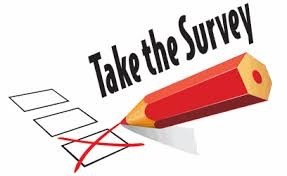 First, we have an online survey to gather stories on disability identity and activism. Everyone's journey is different and we hope to show a wide range of lived experiences. There is no singular way to be disabled or do activism. There is no set dogma on what political positions one should take as a disabled person. We hope to learn more about how people come to disability activism, in order to help more disabled people do the same. Later this spring, #CripTheVote will be creating a Disability Activism 101 Toolkit that will include selected stories from this survey to give an introduction to people who are curious about political participation and activism but don't know where to begin. The survey can be anonymous, or you can leave your name ... it's up to you. Help us flesh out the connections between disability identity and activism. 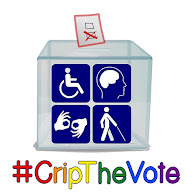 #CripTheVote is a nonpartisan online movement activating and engaging disabled people on policies and practices important to the disability community. Our movement is grounded in online conversations encouraging individual and collective action in the face of inequality, ableism, and oppression in all forms. Our movement is intersectional, local, global, and focused on the political participation of disabled people. * Continue to be an intersectional movement by and for the entire disability community. * Keep our hashtag as it is. * Remain online, community-based, and as decentralized as possible. * Expand our focus beyond voting to other forms of political participation. * Ask questions and demand accountability from our elected and public officials. * Engage with disability issues at the local, state, national, and international levels. * Provide a space for conversation as stimulus for collective action. * Support direct actions and organizers by sharing and amplifying information about them. * Partner with disabled people and organizations in broadening our movement’s perspectives and expertise. * Refrain from endorsing or supporting candidates, public officials, or political parties. * Oppose and critique any policy or practice that potentially harms disabled people. * Explore and promote promising ideas for better disability policies and practices. * We do not intend to become a nonprofit organization, raise money, or otherwise “professionalize” #CripTheVote. We are so grateful to the disability community for making #CripTheVote the force that it has become. It will take our continued effort as a community to keep things going. Without all of you taking ownership of the hashtag we could not have the impact we have had, and make no mistake we have had an impact. The level of the discussion around disability issues has been raised in all spheres. Politicians, the media and the public know that our community can no longer be placated by a mere mention and that we demand engagement. This is something we can build on as we move into an uncertain future. Thank you all. “Like” the #CripTheVote Facebook Page for updates and events. "A Movement begins when large numbers of people, having reached the point where they feel they can’t take the way things are any more, see some hope of improving their daily lives and begin to move on their own to bring about change. "A Movement begins to assume momentum when people begin exploring visionary answers to the questions being asked at the grassroots and engage in practical activities which can be replicated without huge bureaucracies. In the early stages of a Movement, the visionary answers being explored usually strike most people as too radical or too impractical. If they don’t, they are probably not profound enough to build a Movement."